Jockey Hugh Bowman has been aboard wondermare Winx for 20 of her 22 consecutive victories, but he will be forced to miss her 2018 debut on Feb. 17. According to sportinglife.com, Bowman will be serving a pair of careless riding suspensions for a total of 19 days from Feb. 4 through 22. 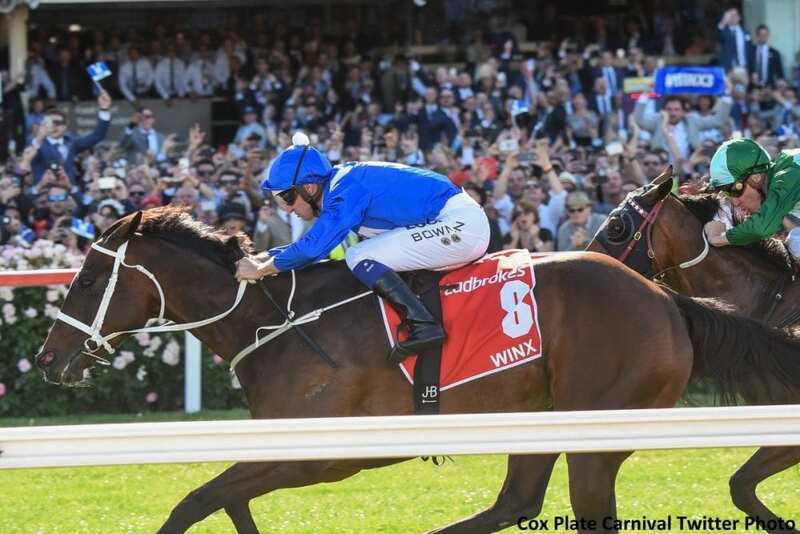 Winx is a three-time winner of Australia's Cox Plate, and is expected to start in the Apollo Stakes on Feb. 17. This entry was posted in NL List, People and tagged Australia, Australian racing, candy ride, chris waller, cox plate, hugh bowman, jockey suspension, winx by Paulick Report Staff. Bookmark the permalink.